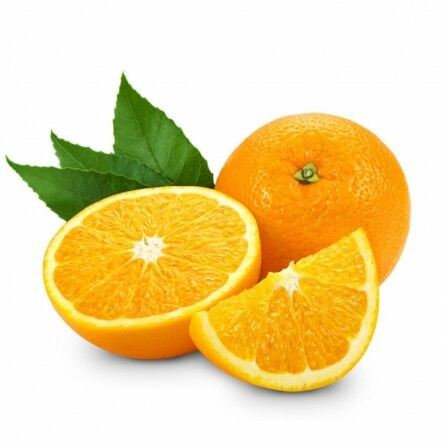 FruttaWeb: Valencia oranges at your home with one click! Really juicy, they have a sweet flavour and low acidity! ,984Really juicy, they have a sweet flavour and low acidity. The Valencia orange has a spherical shape, its peel is of medium thickness and of a light orange colouring. Its pulp is light and very juicy, it has a sweet flavour and is seedless. Among the varieties with a blonde pulp, this is the most widespread in the world! It can be kept in the fridge for enough long times. The pleasure of oranges is that in only two fruits there is the right amount of vitamin C which we need every day. Oranges contain antioxidants, such as anthocyanins, which are also very useful to protect the eyesight. Tarocco oranges contain up to 70 mg each. The oranges are essential for a healthy diet because they provide many vitamins of group C which are used to fight colds and flu forms, in addition to being excellent antioxidants fighting aging. The best way to take advantage of these properties is to eat at least one during the day. Even the orange juices can be replaced with a diet that includes healthy fruit. The thing to remember is that the juice should be consumed within 20 minutes, after which time the properties salutary benefits of vitamin C begin to decrease. Originating from China and the south-eastern Asia, this typical wintry fruit would have been imported in Europe only in the 14th Century by Portuguese sailors. However, some ancient-Roman texts have been talking about it since the 1st Century; it was cultivated in Sicily where it was called melarancia, which could mean that the fruit could have reached Europe by land. Both theories could be correct. Probably, the orange tree arrived in Europe through the Silk Road, but the cultivation took place only in the warm Sicily, where the spread stopped. Only after two centuries it was re-discovered by the Portuguese sailors. The orange tree is a fruit tree belonging to the genus Citrus. The orange tree is a tree that can reach 12 metres height, with lengthened and fleshy leaves and pure white flowers. The buds are always green, never red. ... In Rome, in the cloister of the convent of Santa Sabina all’Aventino, there is a tree of sweet orange that, according to the Dominican tradition, was brought and planted by San Domenico in 1220?